How to reach Silk route in Sikkim? Silk Route is an old route in Sikkim that connects Sikkim in India with China occupied Tibet. Silk route lies in eastern part of Sikkim along the rough terrains of Himalayan range. In earlier days people used to take this route while ferrying goods between India, Tibet and China. Still now goods are ferried through passes in borders. Indian Army looks after this entire stretch as here lays the border between India and China. Places like Rishikhola, Lingtam, Zuluk, Nathang Valley, Lungthung etc. are all located along the Silk route. These places happened to be offbeat destinations to nature lovers and travelers but these days too many tourists travel to these places to experience the raw scenic beauty of the nature. The high hills and mountains all around with chilling breeze and snow in winter and Rhododendrons in April-May make this place one of the most beautiful sought after destinations in Sikkim. As you know north Bengal is the gateway to Sikkim, you have to visit Sikkim via Siliguri or New Japlaiguri (NJP). There are frequent vehicles from NJP/Siliguri to Gangtok but you won’t find any direct transportation to visit the tourist places along Silk route from Siliguri/NJP. You can get vehicles up to Rongli Bazar and then from there you can hire vehicles up to your destination along Silk route. The better option is you take a pick-up service from the owner of the house stay where you would be lodge. There are no hotels or resorts in east Sikkim tourist places along Silk route. You have to stay in house stays provided by local people there. Lingtam has got the only hotel named “Silk Route Resort” and there is a old British bungalow in Nathang Valley named “Daftar Bungalow” but in Rishikhola, Zuluk, Lungthung, home stays would be the properties to lodge in. If you are traveling with an agency, there is nothing to worry about but if you are traveling by your own, I would suggest you to ask for a pick-up vehicle from the person who arranges your stay there. It is always better to go directly without any break journey. A break journey means loading and unloading of luggage, hackle and tensions. A pick-up vehicle for a direct journey means no trouble and apart from this you can stop anywhere you like on the way, enjoy the scenic beauty, click photos etc. The first tourist place towards Silk route in Sikkim from plains of north Bengal is Lingtam, then comes Rishikhola and then Zuluk, Nathang Valley and Lungthung. The journey by road to east Sikkim from NJP/Siliguri would be a memorable experience to you. The road goes along the Teesta River with hills on both sides makes the journey very enjoyable for those who like nature. The more you go up, better is the view. The journey along the Silk route is very adventurous. The sharp turns of the narrow roads at such a high altitude will sometime scare you but the drivers there are very professional and handy. Here I am talking about pick-up vehicles. You won’t get vehicles on kilometer basis in Sikkim. They charge for point to point. The car hire rate for a pick-up vehicle varies with seasons and go up or down with time. Car hire rate goes up in peak seasons like from April to May and September to December. I am providing below the car hire rate as of September, 2013. Rs 3,000 – 3,500 approx. Rs 4,000 – 4,500 approx. If you need an itinerary or tour plan for the destinations like Rishikhola, Lingtam, Zuluk, Nathang Valley, Lungthung etc., just click on the link below and get all details. 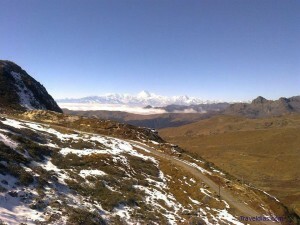 Stay tuned to TravelDias.com for more information on tourist destinations in Sikkim and other places. You can like the Facebook Page https://www.facebook.com/TravelDias and Follow Google Plus page https://plus.google.com/113139907704263536803/posts to stay updated. I intend to visit silk route of sikim during end of April,14. Advise me the total packages for 4 nights 5 days for two persons. First of all let me make it very clear that I am not a travel agent or operator so I can’t provide you any package but yes I can help you i such a way that you would not need a travel operator to arrange or plan your trip for you. You can surely travel by your own to the paradise of nature, i.e. the Silk route. April is a good time to visit Silk route. The valley and the entire stretch along Silk route would be very colorful with Rhododendrons. From April onward the beautiful flowers start blossoming. The Silk Route starts from Lingtam in east Sikkim and stretches up to the Tsomgo Lake and Nathula Pass area. I would suggest you to start your journey from Lingtam and end in Gangtok, the fabulous city on hills. I have been to this stretch of Sikkim several times in different seasons of the year. I assure you that you can make this trip by your own without any help from any operator. I can help you with all costs for sure. Please mail me at “uvreachedavi@gmail.com”. I will surely reply and help you out. now my question is can u give an idea of the detiled cost for this trip? also we r visiting in mid may. is it reqired to prebook all the hotels ang packages? we r a group of 3-4 friends. it would be really great if u can tell me about the hotel rates, package tour rates for north sikkim and car rates specificly. thank you. Thanks for visiting TravelDias. I have sent you a mail with answer to your queries. Please do check. If you have any further query, please do reply in that thread only. Thanks for the detailed information on Silk Route and indeed they are really helpful to plan our tour. We are trying to arrange the tour ourself. I was just wondering if you can give us any contact number there who could book the cars and hotels for us. Since April will be the pick season(also election time) so wanted to book the hotels and cars from beforehand. Thanks for your appreciation. You can surely arrange the trip yourself, there is no need to go with any agency. Yes, April is a peak time so you should book everything in advance. I have shared all information through mail. Just check your inbox. I must say Silk route in Sikkim is a paradise of nature. You can surely travel along Silk route in April-May time. I must say this is a very good time to visit east Sikkim because this is time when Rhododendrons blossom and the hills remain colourful with different types of Rhodos. There are many places to stay or spend nights along this route. Zuluk, Nathang Valley and Lingtam are the best places to stay. Yes, I can surely help you with contact details. Let me know all details, like if you have already planned any itinerary and mail me your requirements at “uvreachedavi@gmail.com” I will surely revert back with all information and suggestions. Note: Do mention, number of people and dates again in the mail. I m Rupam, made my plan towards East Sikkim during Puja time for 6D/5N plan..though I have gone through all the above stated itinerary, despite I look out your suggestion in deciding the stay points and a well designed tour plan, before I drift away. please also suggest – is this a safe move towards Gangtok from Zuluk as road are pretty petrifying as I m taking my family along. The itinerary looks good but it can be much better. If you need my suggestion then please do mail me at “uvreachedavi@gmail.com”. I don’t suggest a stay in Rishi Khola. The bridge is broken now and one has to trek up to the home stays. Lingtam is a better choice. My mail id is prasenjit.chakrabory@sc.com if possible can you mail me average cost for 6 people. In December you can get chilling weather and you can expect snow in east Sikkim. If you love cold, this is the time to visit there. Do mail me all your queries and details to “uvreachedavi@gmail.com” and I will surely reply to all your queries. I am planning a trip to silk route this november end. I found a travel agency ‘www.sikkimsilkroute.com’ who offered me a package of total value 34.5K for 3 pax. Itinerary looks good. But the price look cheap to me. are you aware of this agency? or can you comment if the itinerary is feasible with this cost? Day 1: NJP to Padamchen – Sightseeing at Kuikhola Waterfalls, Lingtum. Overnight at Padamchen. Day 2: Padamchen to Nathang – Padamchen to Nathang – Early morning sunrise trip to Thambi View point and continue sightseeing at Zuluk, Zig Zag road, Lungthung and reach Nathang. Sightseeing at Old Baba Mandir, Kupup Lake, New Baba Mandir, Menmecho Lake (you have to trek to reach Menmecho), Tukla Valley, Jelepla Pass, Yak Golf Course, Ice Hockey Field. Overnight at Nathang. Day 3: Nathang to Mankhim – Early morning sunrise trip to Eagle’s Nest Bunker or Lungthung. Return to Nathang for breakfast. Leave Nathang after breakfast and reach Mankhim. Sightseeing at Lampokhari (Aritar Lake), Aritar Bungalow. Overnight at Mankhim Homestay. Day 4: Mankhim to Reshikhola – Sunrise over Mt. Kanchenjungha from Mankhim. Take a Jungle Walk and visit monastery and Rai temple. Overnight at Reshikhola. Day 5: Reshikhola to Icchey Gaon – On the way sightseeing at Pedong, Sillery Gaon. Overnight at Icchey Gaon. Hi Soumajit…! If you ask my opinion, I will never go with this itinerary because I feel it is bit of hectic. You are not visiting there for journeys but to relax and enjoy the beauty of nature. So I would always suggest you to travel less and enjoy beauty more. There is no need to stay at so many places and spend so many nights at places which are just adjacent to each other. I will suggest you to enter the east Sikkim directly from NJP or Bagdogra and exit through Gangtok. Else you can entry Silk route from Gangtok’s side and exit via Rishikhola. For more details you can mail me at “uvreachedavi@gmnail.com”. As far as cost is concerned, I can surely share the approx. rates of accommodation and transportation. Do mail me and I will share all that with you. Please suggest me an itinerary for silk route to cover only selective best places, not all places by hopping and get tired for 4N 5D. You can mail me at “uvreachedavi@gmail.com” for further queries. I would gladly help you out. I am planning a honeymoon in early march 2016.. suggest a plan for two of us ..days are no bar..can extend it upto 7 to 8 days.. I want to stay in the best places of these route..I want to pre arrange everything..my budget is 40 to 45 k..Please suggest with a warm plan..thanks in advance. . I need to know if you are planning to travel to NJP by train or bagdogra by flight. I need details to frame an itinerary for you. Drop me a mail at “uvreachedavi@gmail.com” with details, I would frame the trip plan for you. I am planing silk route in february for 6 days kindly send me the tour plan with cost asper 13 adult and 2 child(both the child 9 yrs)and we want 5 rooms as soon as possible. I am travelling to Gangtok on 22 nd of march, i.e reaching Gangtok on 23rd and we will be again broading train from NJP on 27 th morning 7.50 am. We are 7 member, want to cover north Sikkim and silk route(if possible). Suggest me a trip plan. I couldn’t reply you earlier because I just checked this comment. Let me know if you are still looking for any information. I can surely help you out. Drop me a mail at “uvreachedavi@gmail.com” and I will revert back. Day 1 : NJP to Reshikhola. Stay at Sebastian Pradhan ‘s homestay.
. NJP to Pedong. Stay at Jelepla Village resort. Day 2 :Reshikhola/ Pedong to Zuluk. Stay at Palizor Homestay. Day 4 : Watch sunrise at Lungthung. Visit kupup lake, memencho lake, old babamandir, chhangu lake. Transfer to MankhimHilltop . Night stay at Mankhim. Day 6: Lingtam to NJP. Board train for Sealdah. We would like to visit entire silk route from 21/12/2016 to 27/12//2016.we start from Kolkata 21st night,reached njp 22nd morning.Return train on 26th evening from njp.Please suggest a programme.How to go,which place is best to stay,how to get a car,app.cost etc.We are 3 persons going& like to travel individually,not in share.Please advise. During December end, it will snow heavily and staying over night beyond Padamchen is risky because there are chances of getting stuck. I suggest you stay at Padamchen (as last point of stay over night) and go for sightseeing along Silk route further Padamchen, reach up to the reachable point and come back. I do the same thing when I visit in winter. I have mailed you in detail. Check your inbox please. Please inform about the accommodation along the entire route. You can stay at places like Reshikhola, Ichey Gaon, Sillery Gaon, Lingtam, Padamchen, Zuluk, Lungthung, Nathang Valley, Mankhim though there is no need to stay a all places. You can cover the entire Silk route in 4 nights and 5 days. HiAbhijit,we are visiting shortly in silk route,me wife and 9 year son.Please suggest what kind of medicines or precautions we need to take.iam reachable on 9874870163.waiting for your reply,need your help. Dipanjan, no medicines required unless advised by your doctor. Just carry some camphor which are very helpful for high altitude sickness. You can mail me or call me for further details. I want to visit silk rout during late December 2017. Please suggest me a itenary for a budget tour. We are family of four including two child of age 7 and 9. Is it possible to conduct the tour safely by myself. What should be my tour plan for 5 or 6 days or any other suggestion.I am also thinking about staying at Dhupjora Elephant Camp, Tree House for a couple of days before or after silk route tour. You can mail me at kdutta.cesc@gmail.com. If i have to arrange any tour operator pl provide some suggestion if possible. ME & WIFE PLAN TO VISITE SILK ROUTE IN 17TH DEC 2017. MAY I HIRE A CAR FROM NJP/ SILIGURI (NJP TO NJP/ SILIGURI TO SILIGURI). IF IT’S AVAILABLE, WHAT IS THE APPROXIMATELY RATE? Hi.. we are planning to visit silk route from march 11th 2018 to 14th for 3 night 4 days, we have plan to stay at sillery gaon on 11th, next day 12th at nathang valley (including sightseeing) and 13th at gangtok . we are couple with our 6 yrs old kid, please let me know the rate for a car for 2 days (from sillery to nathang and next day nathang to gangtok). Hello! As you have already planned your trip, I must not suggest or say anything in that regard though I think the trip plan could have been much much better. As far as car rate is concerned, the car should take around Rs 3,500-3,600 per day on average. It’s better to hire the car from the person who books your home stays along Silk Route. through travel agencies..dont have any idea on that. As an expert what do you suggest? what should be the travel route?? already replied to your mail. Myself and 2 of my friends with family (6 adult, 2 child) planning to visit silk route for 5N/6D by 22nd Dec’17. Our tour will be from NJP – Sillory Gaon-Nathang-Zuluk-Nathula pass-Gangtok-NJP. Kindly suggest some homestay contacts and approx. Cost per head for overall tour. Also send your valuable comments on our tour plan so that we can change the plan accordingly as because we never been to Sikkim. I am planning to go in October this year for a week with my parents. Can you suggest me a plan if possible? And also in minimum budget if possible? Pls provide me the details of homestays,driver numbers or any change of plan u suggest in these days..whichever is better,pls suggest. Hello Victor! I was travelling and I couldn’t respond earlier. 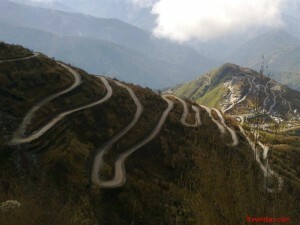 Wish I could help you with all details and information for your Silk Route trip to Sikkim. We are going to silk route…like sillerygaon ..rishikhola..aritar..zuluk..nathang.. Reach 17th December at njp…back 22nd. December…we are 10 Heads..Is it possible to go in a same vehicle…? My bad that I couldn’t respond earlier. Wish I could. Thank you for reaching out to TravelDias. 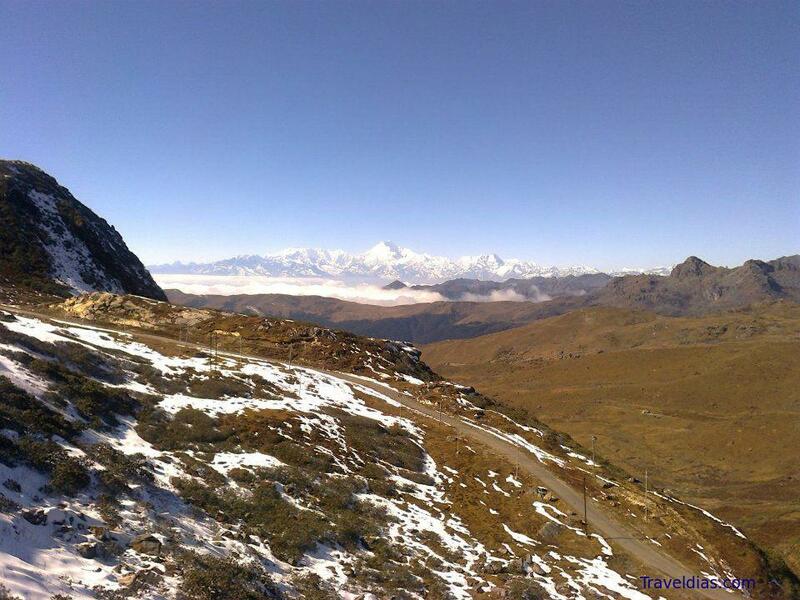 Hope you are having a great time in exploring Silk Route in Sikkim. 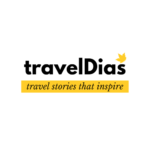 Do share your feedback about your trip to Silk Route. I would love to hear that.